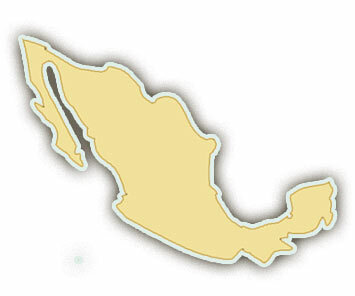 The central Gulf Coast state of Veracruz is historically important because it was the landing place of Spanish Conquistador Hernan Cortez in 1519. Today, Veracruz is one of Mexico’s most populous states but it retains areas of impressive natural beauty. The area is home to Mexico’s tallest peak, the dormant volcano of Pico de Orizado (18,490 feet! ), the beautiful Costa Esmeralda, and many incredible whitewater rivers. Veracruz grows many tropical fruits and is famous for delicious seafood and banana leaf wrapped tamales. Rio Actopan rafting trips are rated class II-III making them a good choice for families or travelers looking for a fun day out on the river. The source of Rio Actopan is the Descabezadero, where natural springs feed the river from a striking fern-lined limestone amphitheatre created by Mother Nature. The narrow canyon takes rafters past mango plantations on clear beautiful water.